for those of you who are observing. 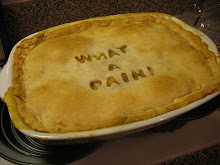 I have been baking in preparation for Easter Sunday. 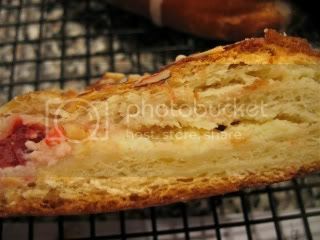 Yesterday, I made Cheese Danish and Cherry Cheese Danish.. Here's the dough, waiting to be filled.. Here they are ready to be baked...only put 2 on a large cookie sheet, the recipe makes 4.. The one I made with cherries opened up...I guess I didn't pinch it tight enough?? It looked like the kind Entemann's sells.. 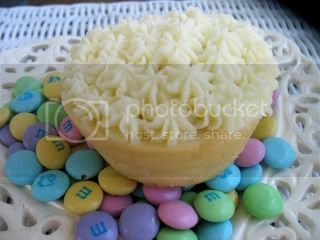 Here's the recipe for the Cheese Danish..
warm and sugar is dissolved. Cool to room temperature. In large mixing bowl, dissolve the yeast in warm water. Put in fridge over night to rise. 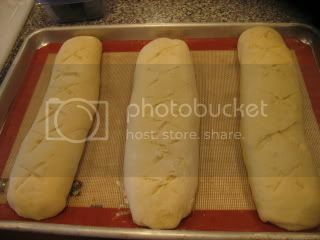 dough into 4 equal pieces and roll each piece out to 12 X 8 inches. 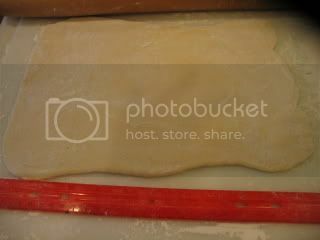 It is sticky, flour your pin too. 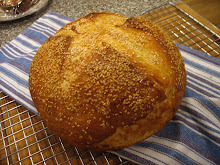 Danish should be slightly flat, and about 3 1/2 to 4 inches wide and about 12 inches long. 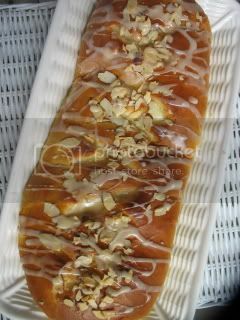 glaze and drizzle over loaves with toasted almonds . My notes, I brushed with egg wash before baking.. Put 2 loaves on each large pan.. I put the almonds on before baking. It is a shame this magazine ceased publication, but as I mentioned yesterday, their recipe box is still on line till May if you want to copy any recipes. 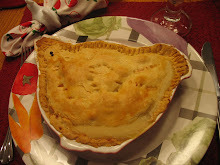 For those of you who know Annt, this is the same recipe she uses, so you know it is good! 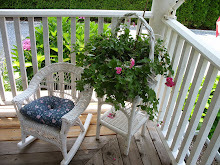 Please stop in at Susan's blog, Between Naps on the Porch to see the other entries this week. Thank you Susan for hosting,,,and check out her event for tax day, April 15th...I don't know how she thinks of these events, LOL! 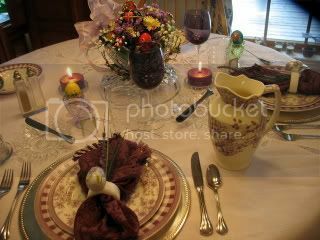 I won't be having Easter here, so I decided to do a little table for just the 2 of us tonight...I used my lavender toile dishes from Neiman Marcus...but really from my friend Marigene...I love them, and I am wondering if someone who does TT has them...so far haven't seen them in lavender..
Water glasses..so thin..very old, they were my mom's, they have a rippled shape.. 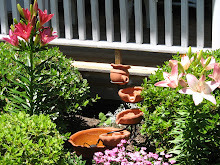 The lavender toile pitcher was a gift. The glass eggcups are WmSonoma. 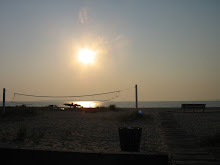 I used a white napkin here with a sprig of lavender...just to see it with white..
You must have a gazillion dishes!! Oh my goodness Kathleen. All my senses are coming alive here. I think I can smell those danishes!! !And my eyes are getting such a treat, too!! Kathleen, another beautiful table! 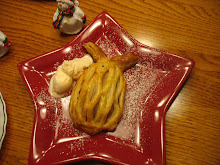 Yum, the danish looks fantastic! Kathleen - simply gorgeous as usual! Really love those dishes, I hope you are able to find more of them. As I have said over and over - you have such a great talent in putting pieces together and every piece you have is outstanding! 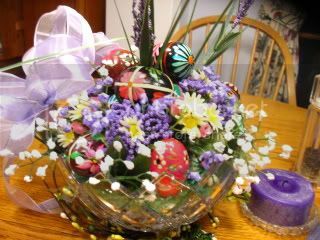 I LOVE your lavender dishes...so pretty! Beautiful tablescape! Thank you so much for letting me know I had the wrong link up...I guess I must have been multitasking again! 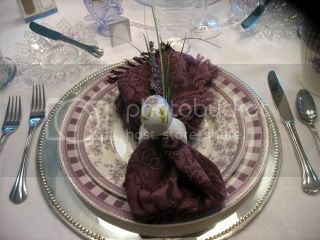 Love those lavendar toile dishes with the silver chargers and the April Cornell napkins. Just spectacular!!!!! Danish still looks good in this post!!!! I don't think I've ever been to that website or gotten the magazine. I will definitely go peruse. You KNOW I love this tablescape!!! 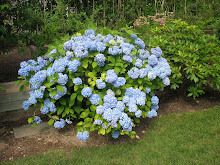 Everything is beautiful. Beautiful table and YUMMY looking treat. Happy Easter! Your lavender and white is so unusual and so pretty. And my mouth is watering over those pastries. 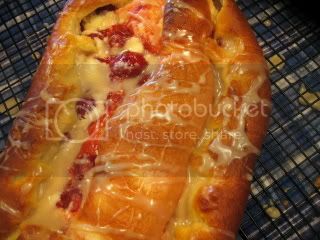 Another new color combination tonight...It's very pretty...But the prettiest thing is ofcourse that cheese/cherry danish...I have copied the recipe and can't wait to try it...I have all the ingredients in the house!! I love your lavender toile dishes. Everything looks so pretty. 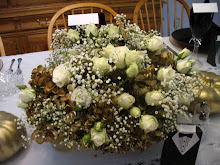 Love the centerpiece too. I want to bite into that gorgeous danish! Yum. 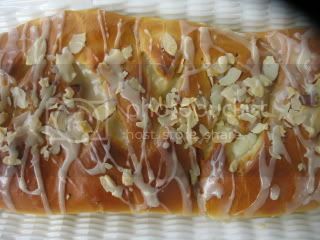 I have always wanted to make my own danish, yours looks fabulous! Great table too. Very nice table and your danish is delish! I think I will try it... Happy Thursday! Love your lavender dishes, the napkin and the sprig of lavender (alas mine is not blooming yet!) 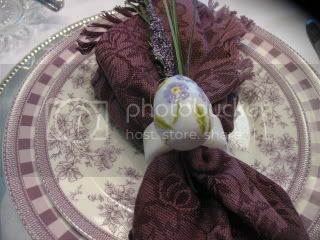 The egg on top of the napkin ring-- perfect! 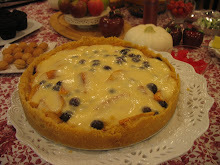 Delicious pastry and delightful table!! Beautiful! 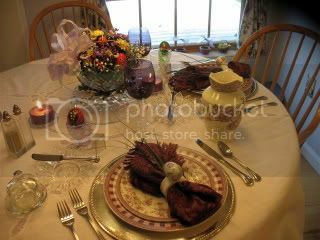 What a really lovely table and I love the egg napkin rings. 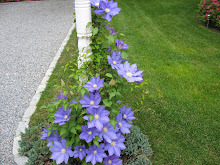 What a springy, pretty post ... I love cheese danish and yours look perfect. The cherry one looks pretty tasty, too. Does this mean Mike no longer will be making yeasty products? Hi Kathleen! Can I just come over? Wow, your table is gorgeous - love your gorgeous dishes and the food! Oh, the food looks so good! Happy Easter! Kathleen, what a beautiful table. I am still looking for more of those plates.....I need them! Your tablescape is a dream in purple, lavendar and white. So pretty! I can't believe you made those danishes! I'm so impressed, very inspiring! Beautiful table, Kathleen! The Danish look delicious, you did a great job! Oh my goodness, what a beautiful table you have here. 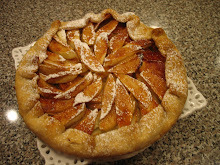 And of course your danish look so delicious. Gorgeous tablescape. 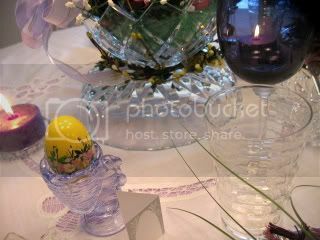 Love the eggs on the napkin rings...and precious to have your mom's glassware. Happy Easter! 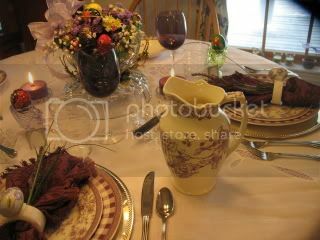 ooooh I LOVE that you used your lavender dishes for your early for two Easter table. It all looks wonderful. 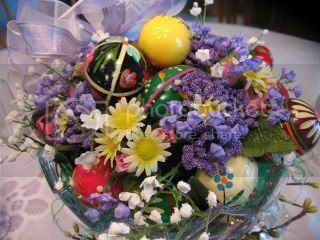 Happy Easter to you and your loved ones dear friend. 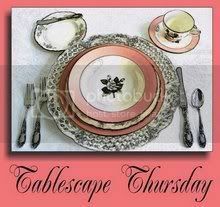 Beautiful table, I like the difference in the usual pastel colors with your purples, pretty! Your baked goods look so yummy. I love the lavender toile plates. I love lavender, but you don't see much of it around & I don't have any personally. But I love it! Your danish looks so yummy. I'm not a baker, but I would love to give the recipe a try. Kathleen, I love everything toile but the lavender is very striking. Marigene has great taste :-) The cheese danish looks sinfully delish. I always love seeing your beautiful tablescapes. I've been on the lookout for some plum-colored dishware for awhile - yours is awesome!! Gorgeous tablescape! Thank you, thank you, thank you for the Cheese Danish recipe! 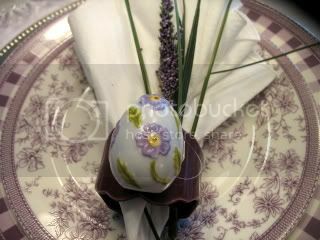 You lavendar plates and egg napking rings are perfect for Easter! Pretty! Awesome...love the dishes, the linens, and the napkin rings. Also those danish look yummy!